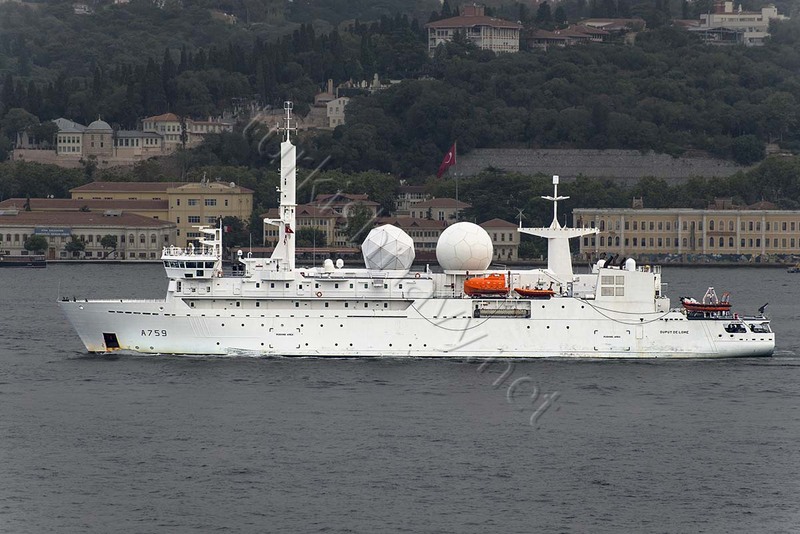 French intelligence gathering Ship A-759 Dupuy De Lome making her southbound passage through Bosphorus at the end of her 4 deployment to the Black Sea. 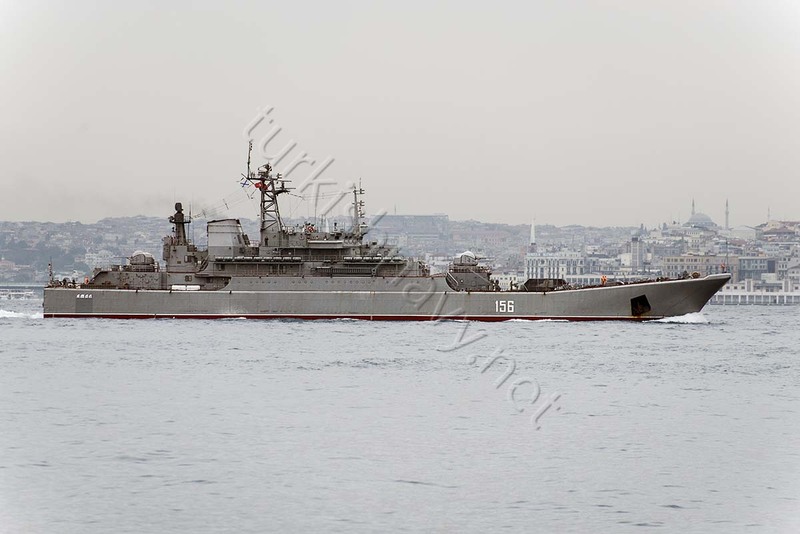 Russian Ropucha class landing ship 156 Yamal making her northbound passage through Bosphorus. 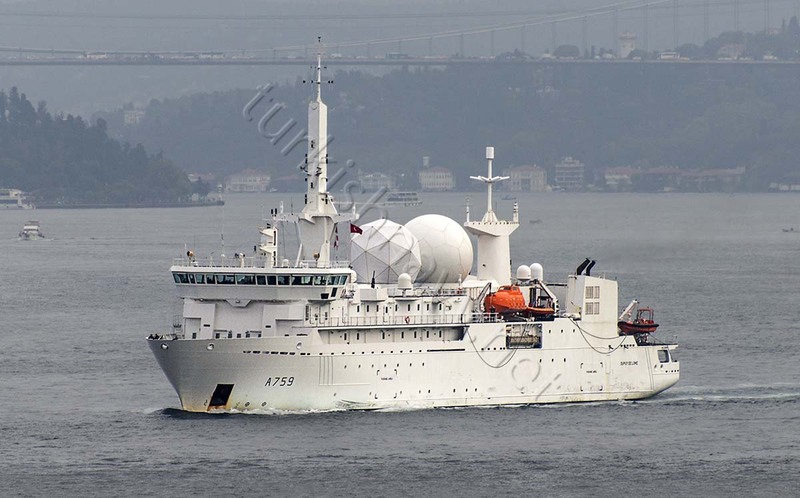 On 5 September 2014, the French signal collection and intelligence gathering ship A-759 Dupuy De Lome finished her 4 deployment to the Black Sea so far in 2014 and made her southbound passage. I bet she will be back in a couple weeks. 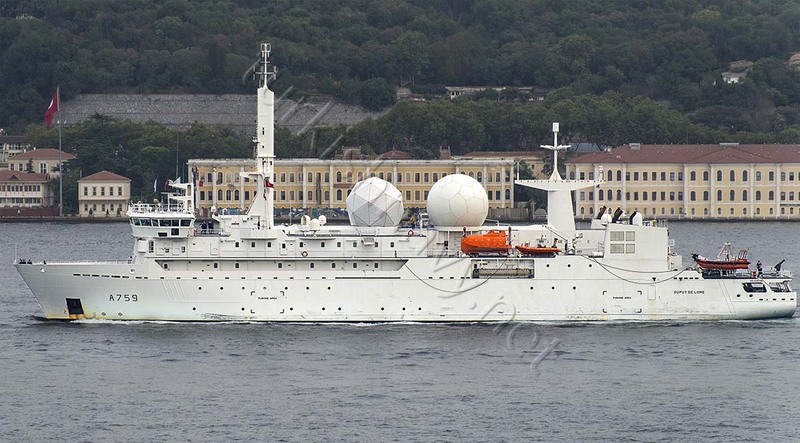 At the same time as the French ship was making her passage through Bosphorus, Russian Ropucha class large landing ship Yamal made her northbound passage. Both ships passed each other in Bosphorus.